"I highly recommend the purchasing of ‘Hockey Made Easy’. If every Minor and Youth hockey player understood the basic content of this great instructional manual, it would make their transition to Junior Hockey programs that much easier”. 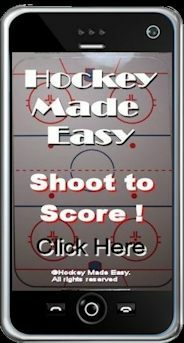 “I recently had the opportunity to look over your book Hockey Made Easy, which is in its fourth edition. I read your first edition when I was in minor peewee and found it very informative. The section on defensive play was helpful to me and made me understand better the role of defensive play in the game. I would be very happy to give you feed back. I coach a Tier 4 Atom team. Prior to this year I had only coached novice and initiation and had not played any hockey growing up other than outdoor unorganized shinny. My son entered Atoms this year which put us in a league where every point counts. We ended up in 2nd place and missed first place by 1 point. (needed to work a little harder in a couple tied games) your manuals helped me develop the type of system that best suited our team and also helped me identify what system the other teams were using as well so we could defend against it. we also won 2 of the 3 tournaments we were in this year. The best part of this season, with your manuals help, I created a development plan for my son, and he has now been invited to try out for a couple of AAA spring hockey teams. it will be a big jump for him but he is now starting to crave playing hockey every day and we hope he continues to have fun and try hard. I am a little concerned that playing an additional season may burn him out, but we will leave that decision up to him. Thanks again, your manuals made this a very successful season for me and our team. 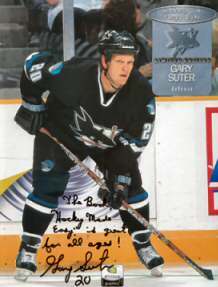 “Thank you, John Shorey, for this masterpiece called Hockey Made Easy! Of the many instructional materials available to help our youngsters, this is far and away the most useful and comprehensive I've seen. I was astounded at how much my 8-year-old's hockey performance improved after one session of sitting together reading. “Thanks for all the tips on the web, as well as your book. I put it to good use this year, and although we did not have a successful season in the win/loss column, the kids improved their own abilities, which is more valuable than any win. It was evidenced by the fact that we placed four players on ‘AAA’ teams this summer...quite an accomplishment! - Mike Babiak, Brookline, Mass, U.S.
“I just want to tell you that I ordered your e-book and received it within hours (on a weekend too, thank you so much). I have perused it and I have to tell you that I consider it the BEST USE of MONEY I have EVER spent in sports (and I've played a lot of sports). I actually think it may be the best purchase of my life value-wise (and I am 34!). I am not kidding. Thank you for pulling so much knowledge together in such a clear format, and for making it available at such an awesomely affordable price. I will recommend it whenever I can. You made my day, BIG TIME! Thanks Again. - Jim McMurry associated with the Screamin' Eagles class ‘C’ club in Mauston, Wisc, U.S.